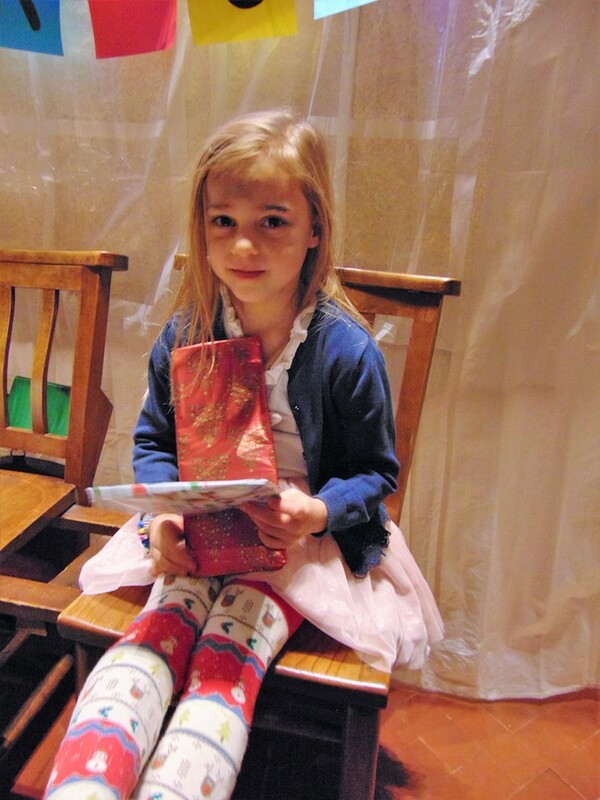 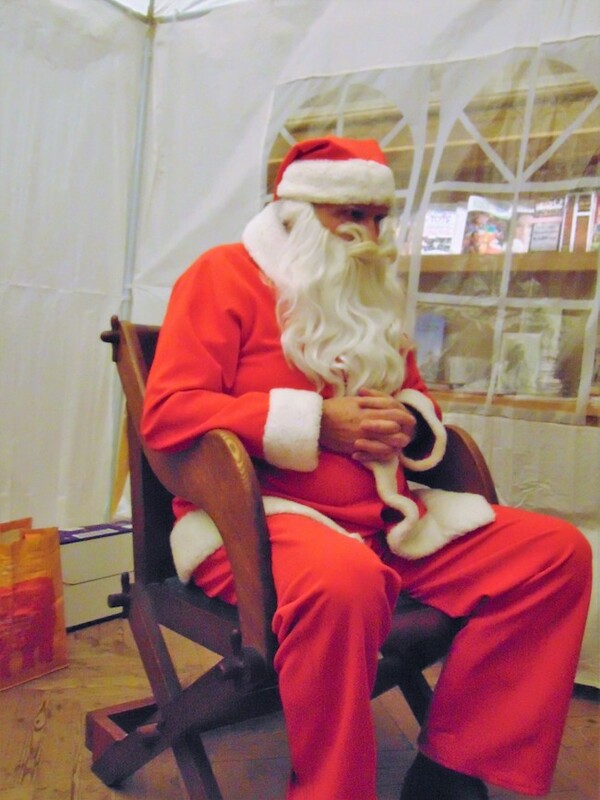 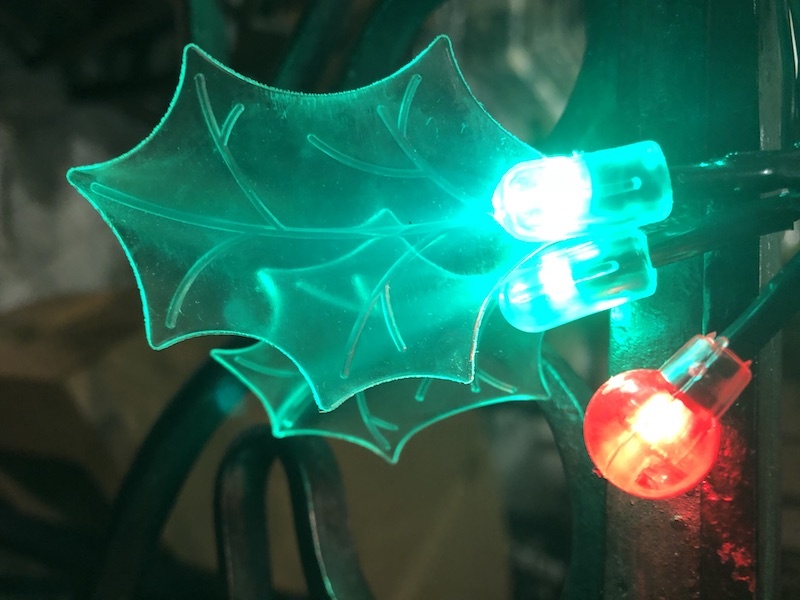 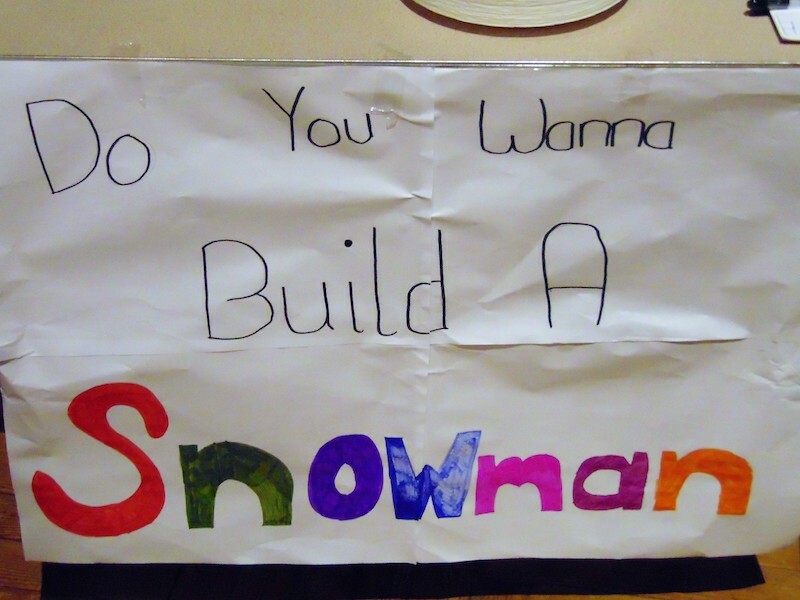 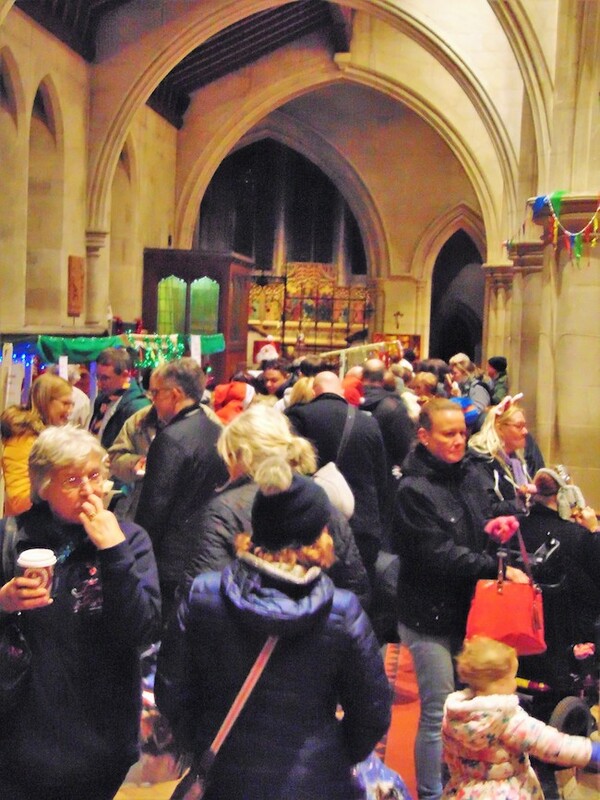 Many local families ventured out on a dark and chilly evening to enjoy our annual Christmas community event. 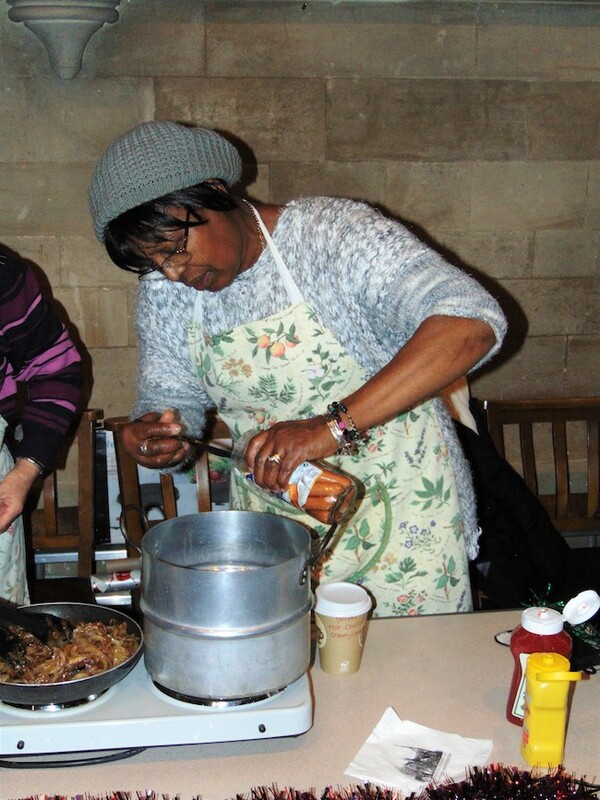 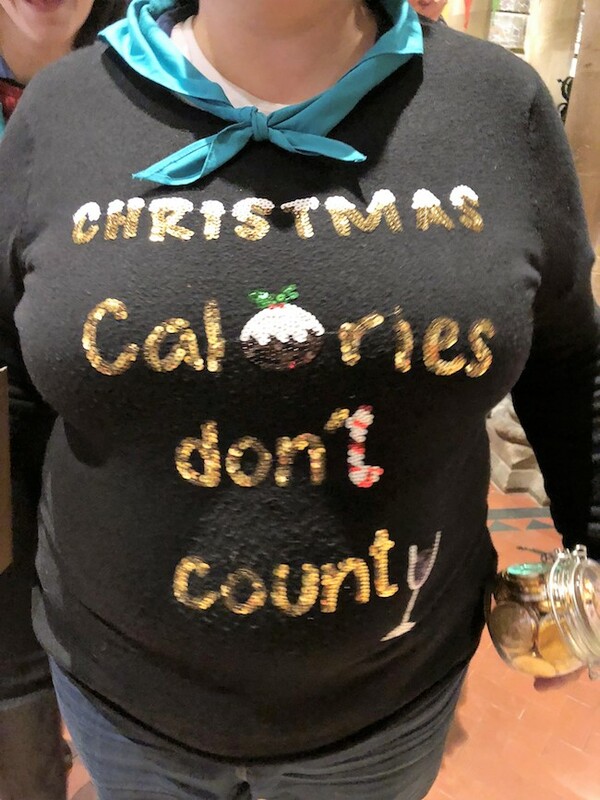 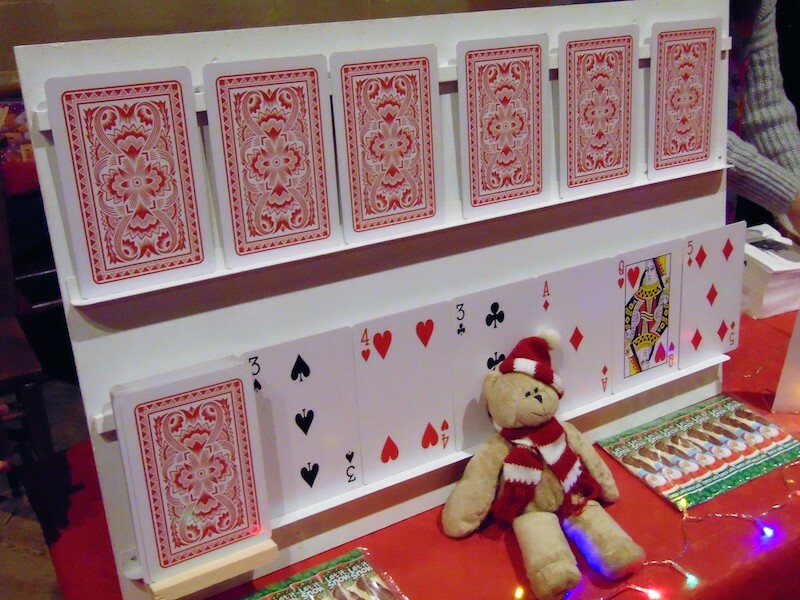 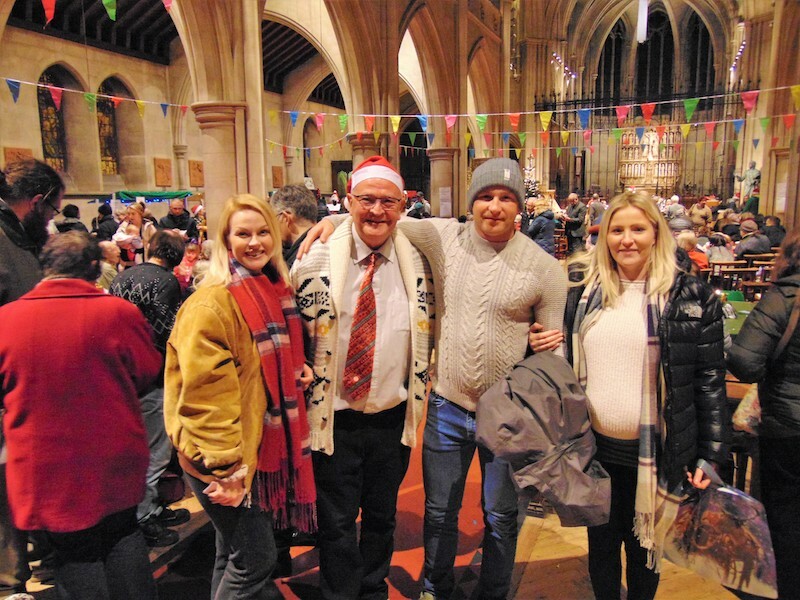 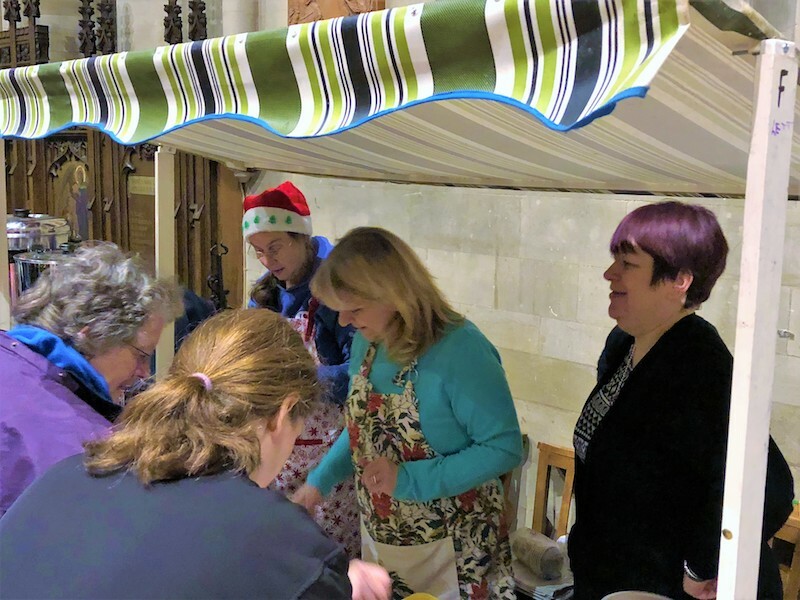 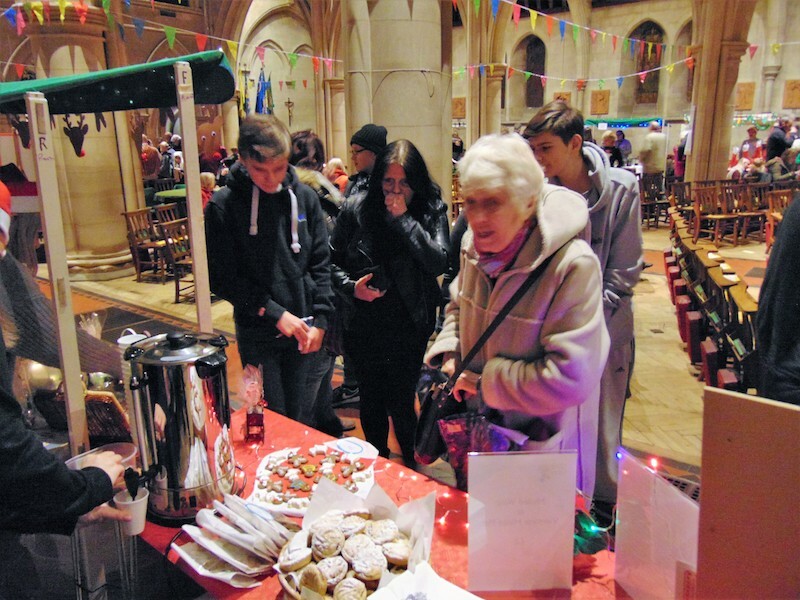 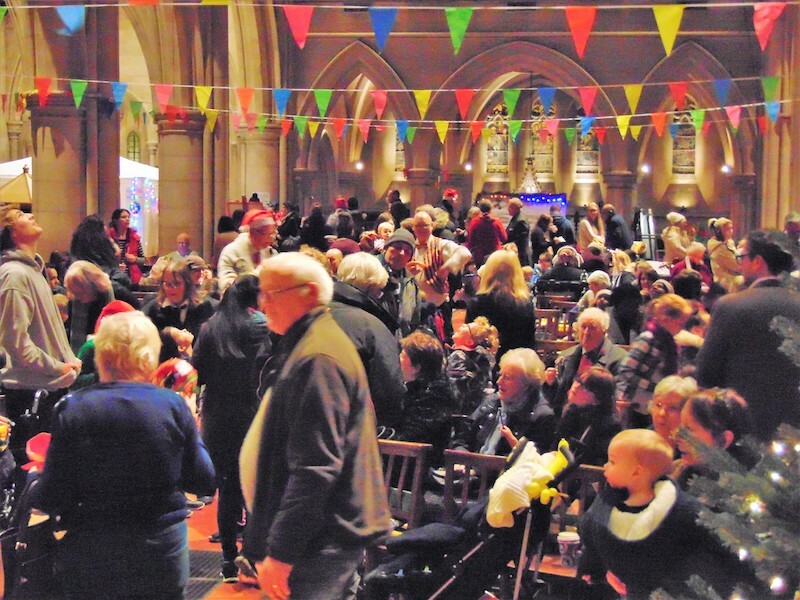 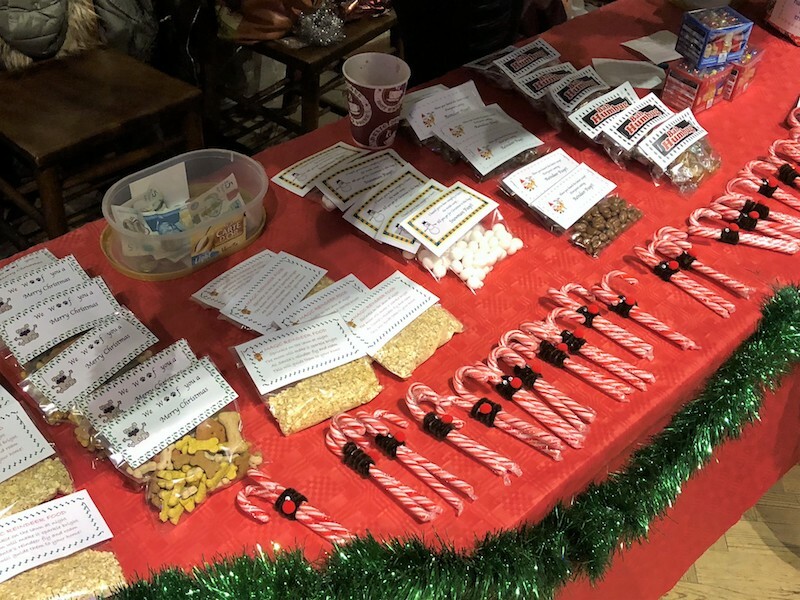 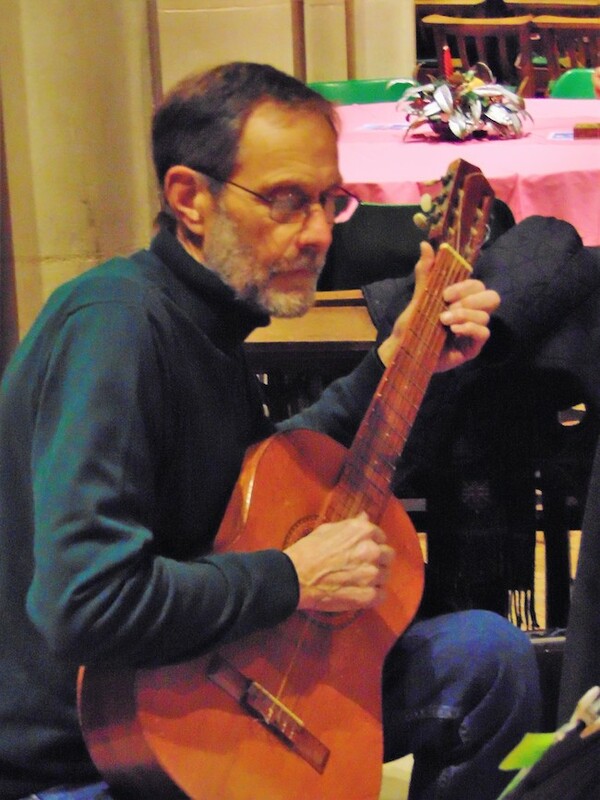 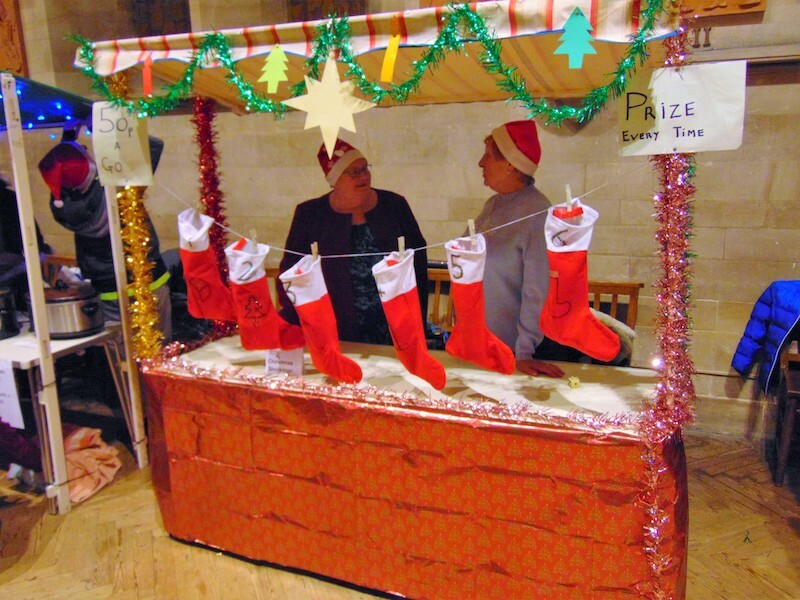 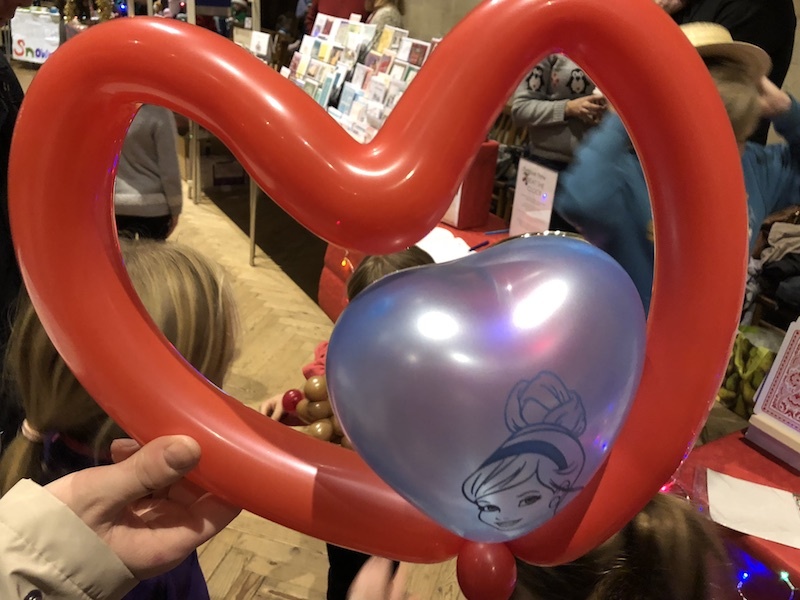 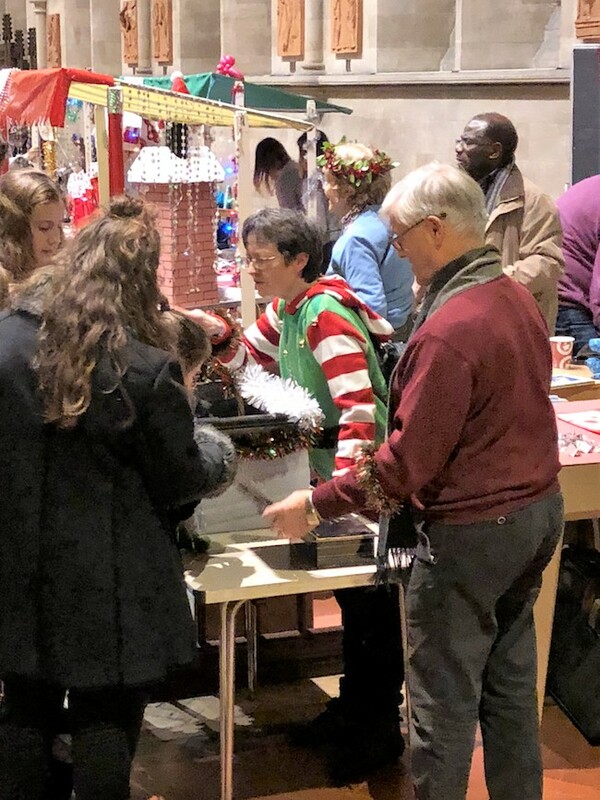 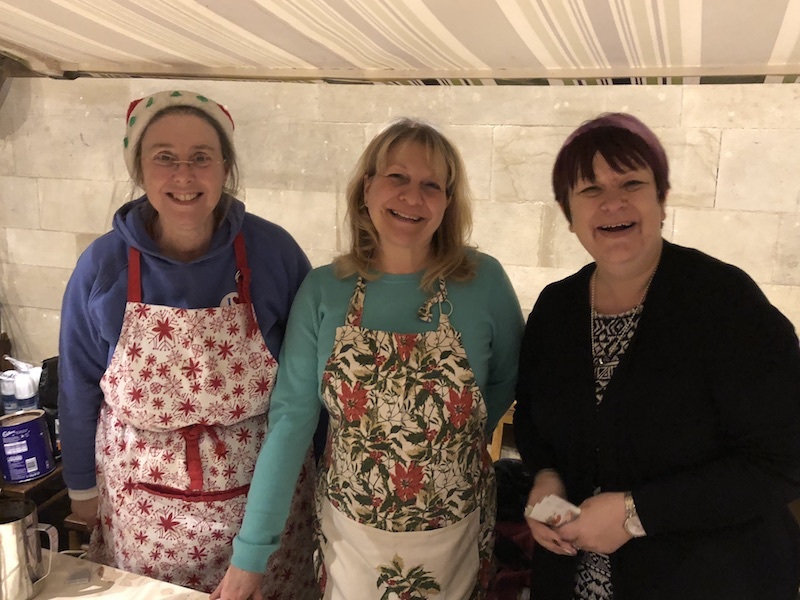 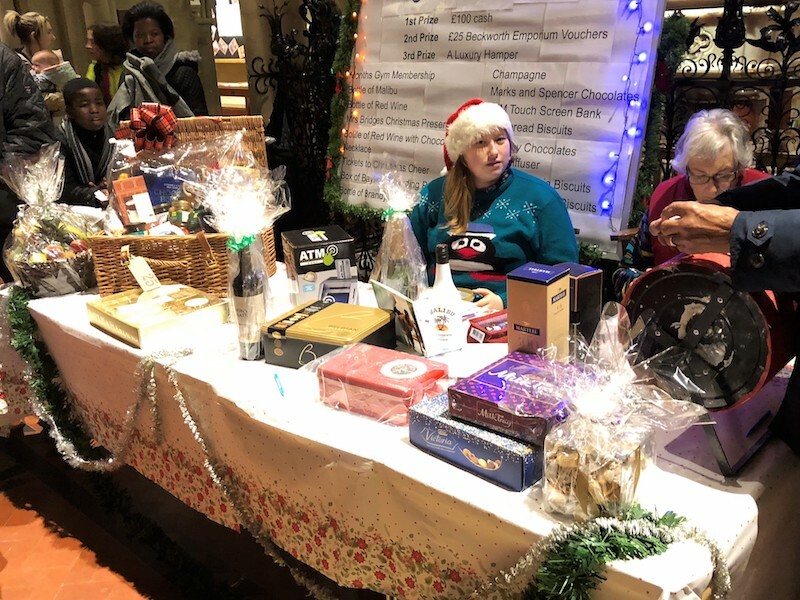 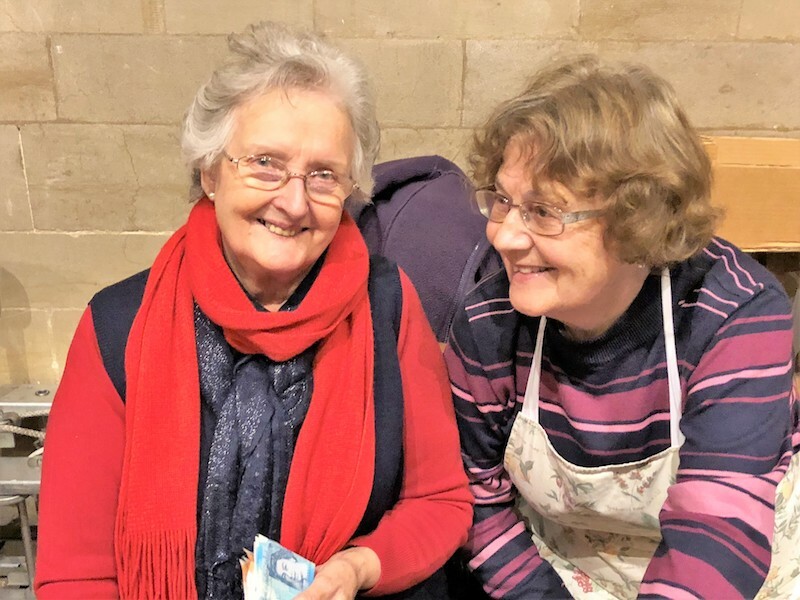 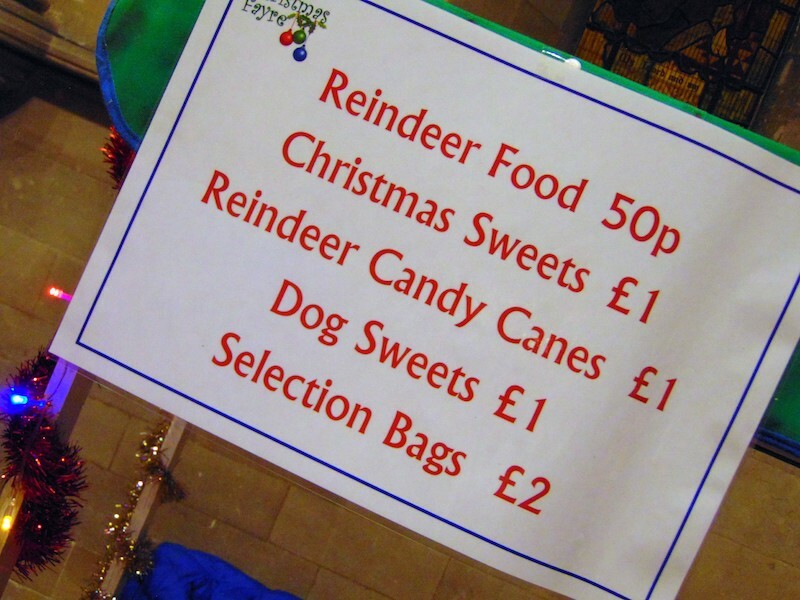 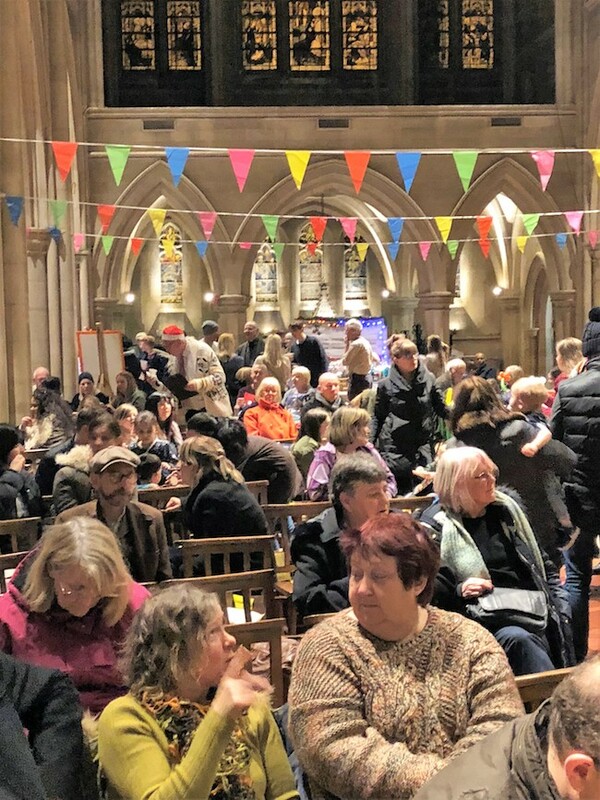 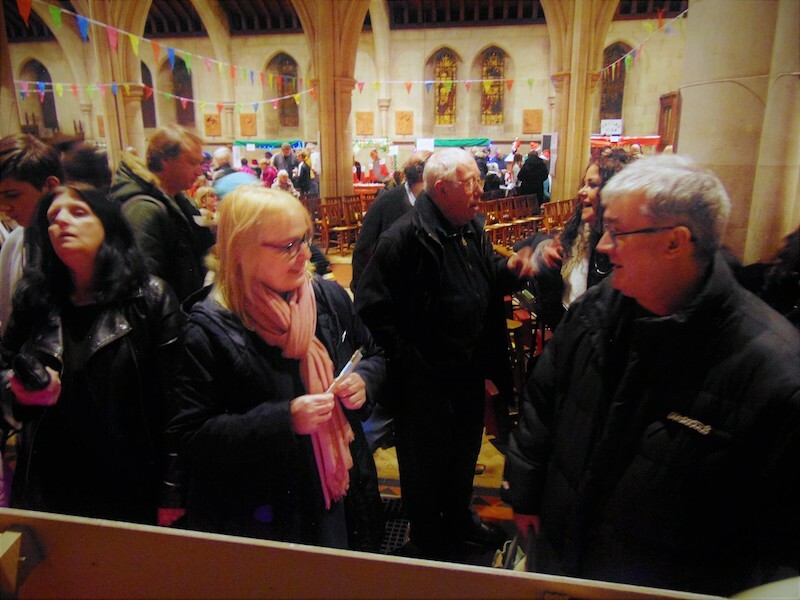 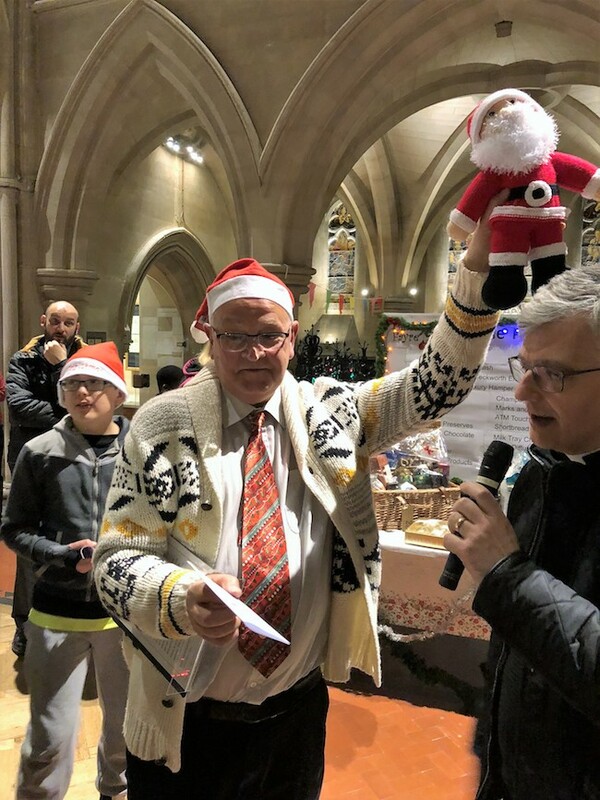 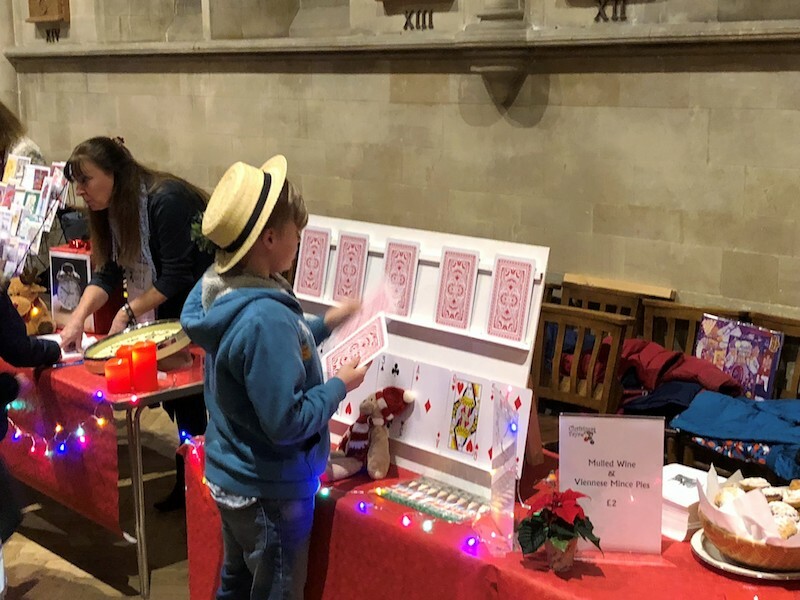 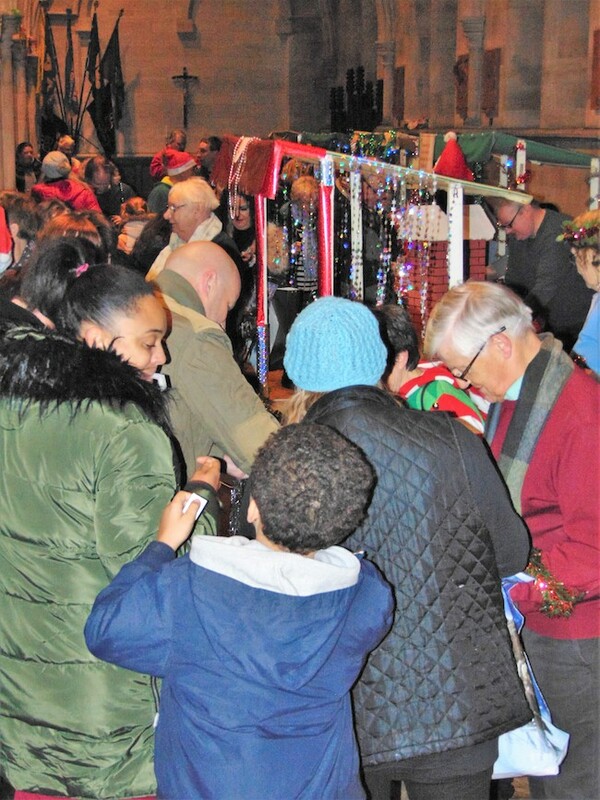 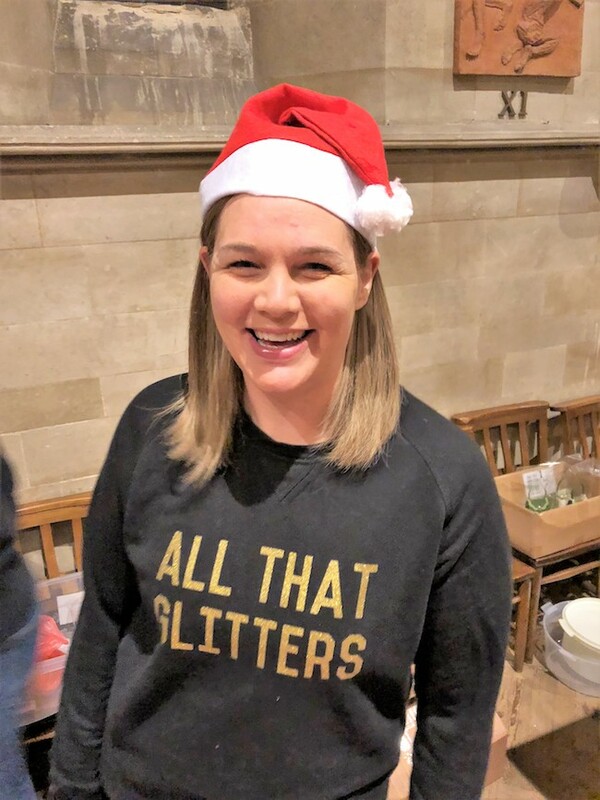 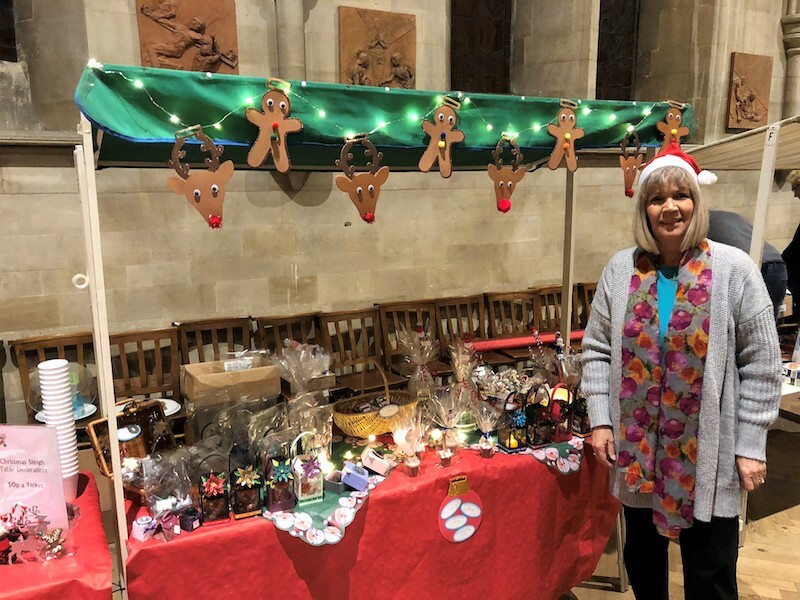 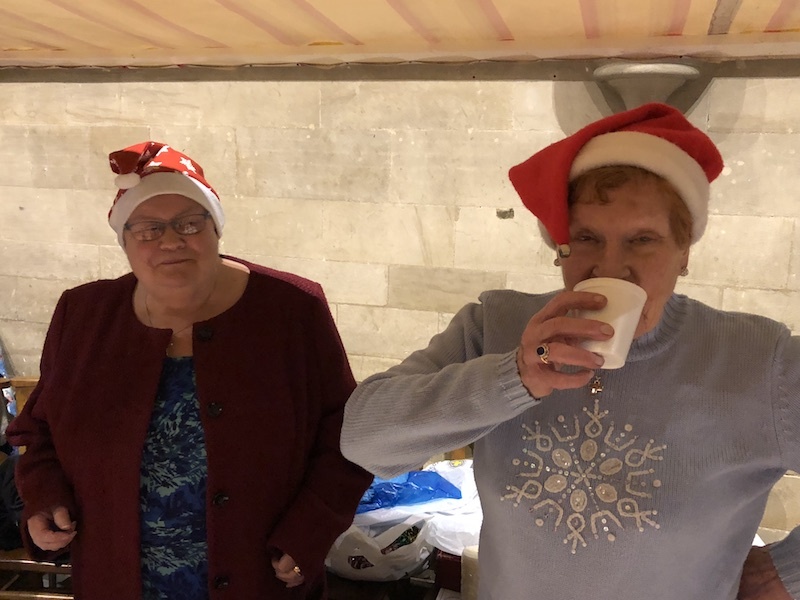 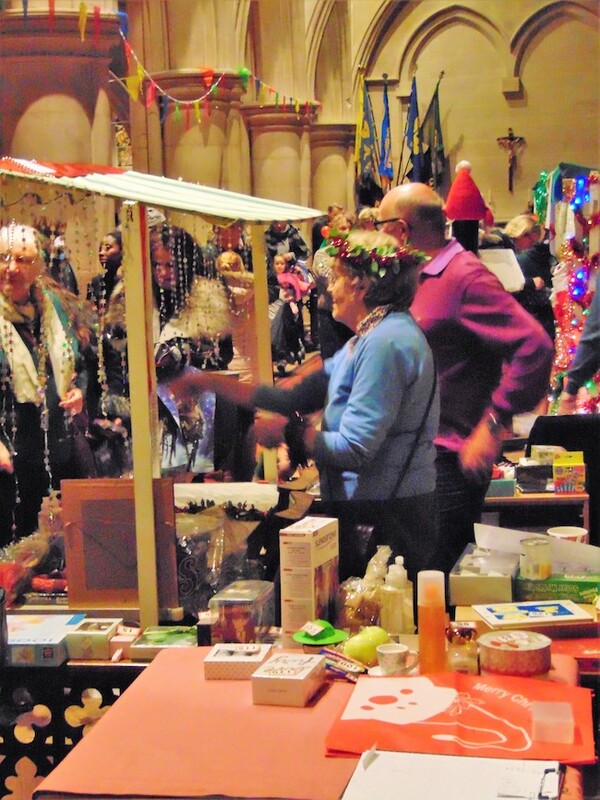 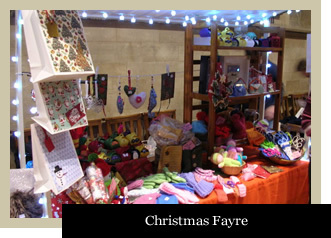 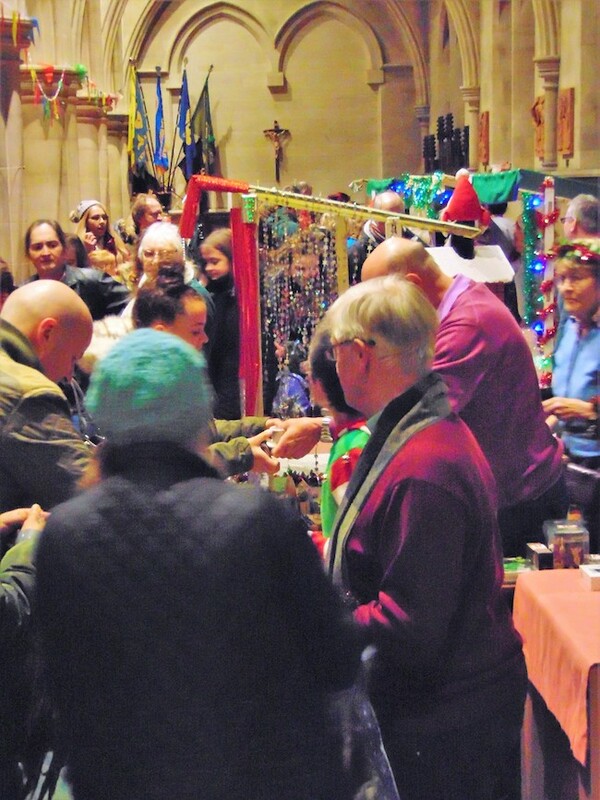 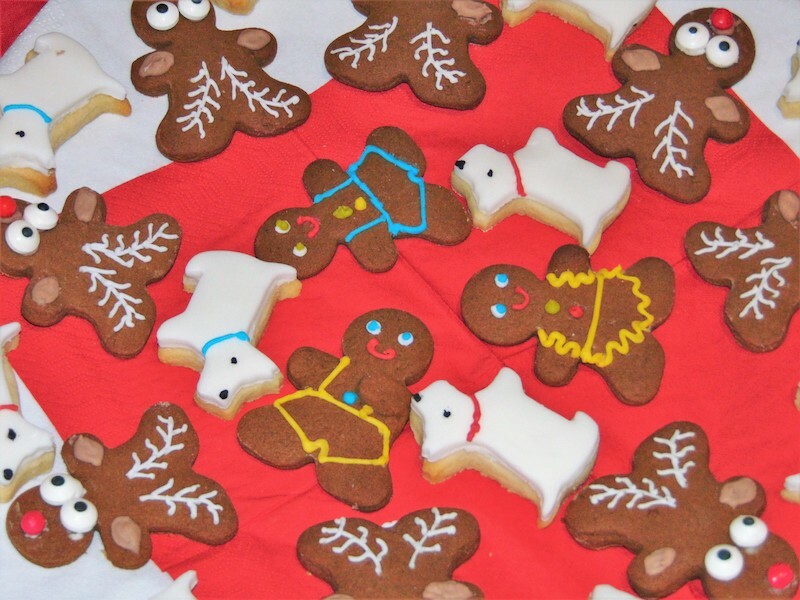 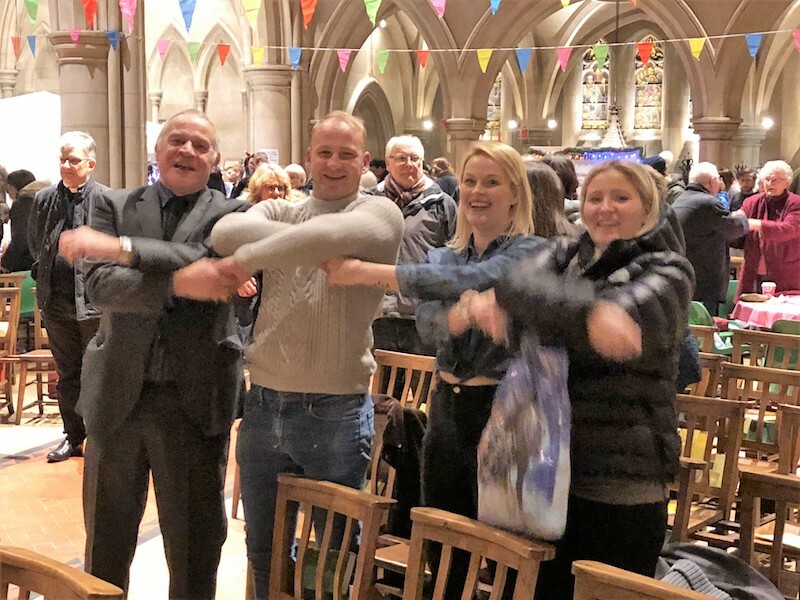 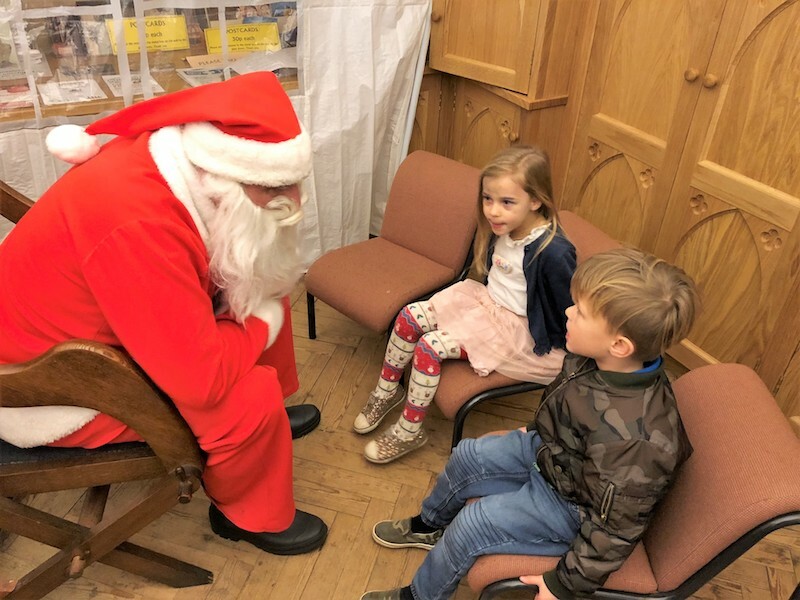 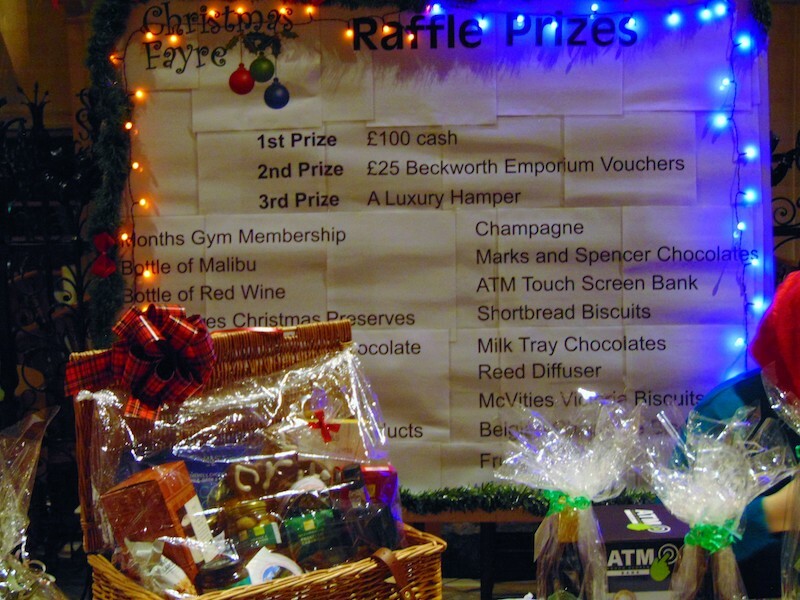 There was plenty to entertain adults and children alike in a relaxed and informal party atmosphere, with food and drink, games and gifts, tombola and raffles all on offer at the stalls in the side aisles. 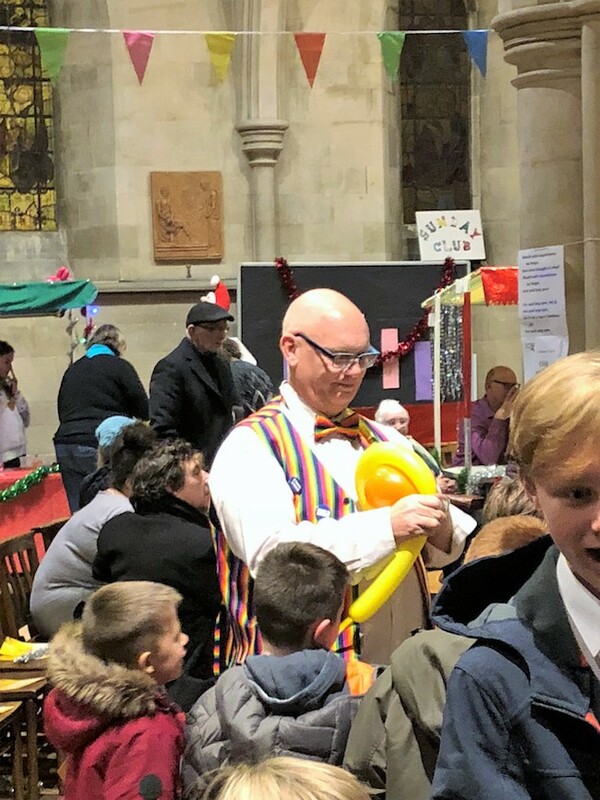 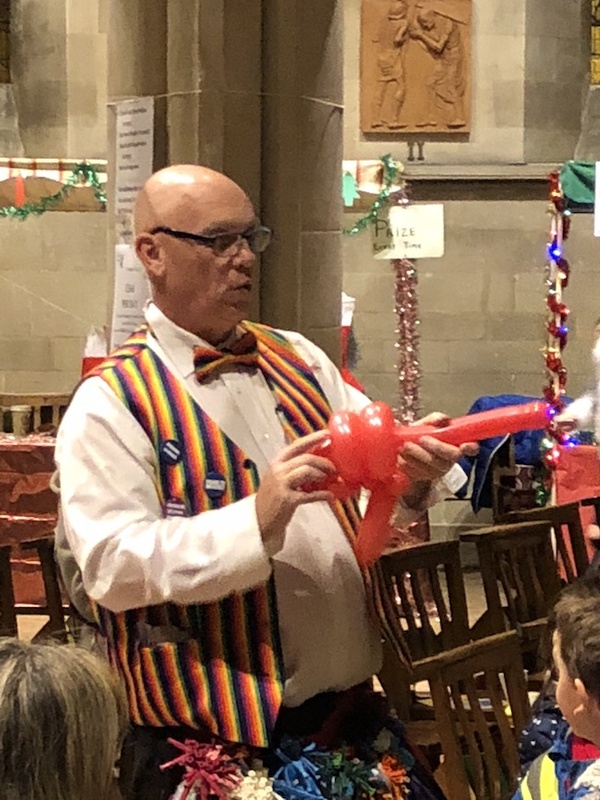 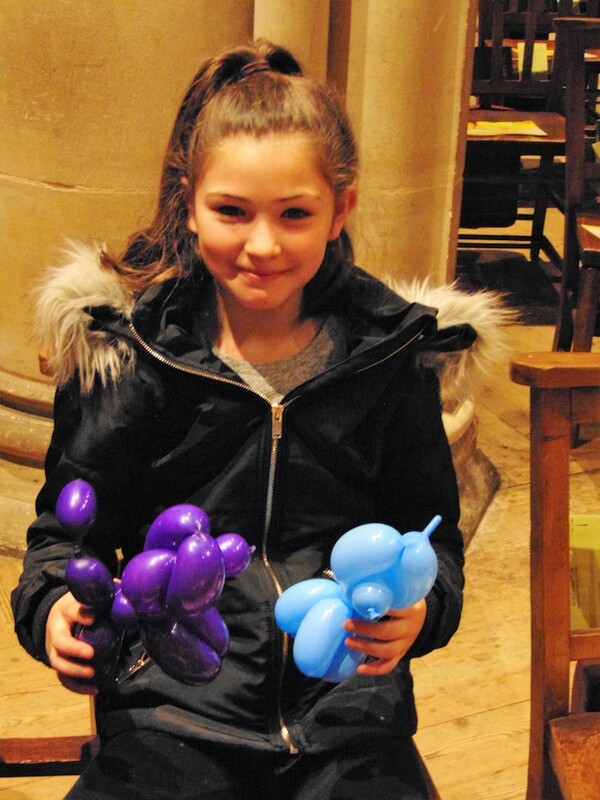 Father Christmas took time out of his busy schedule to make a flying visit to see the children, and ‘Mr Bubbles’ the balloon modeller was kept busy making bespoke balloons, with many of the children having great fun seeing how high their balloons would float above the warm air vents at the front of the nave. 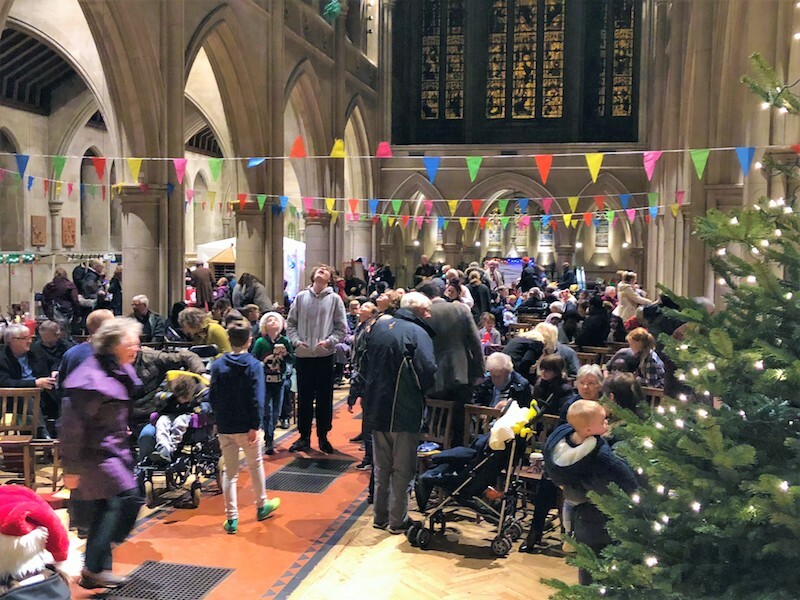 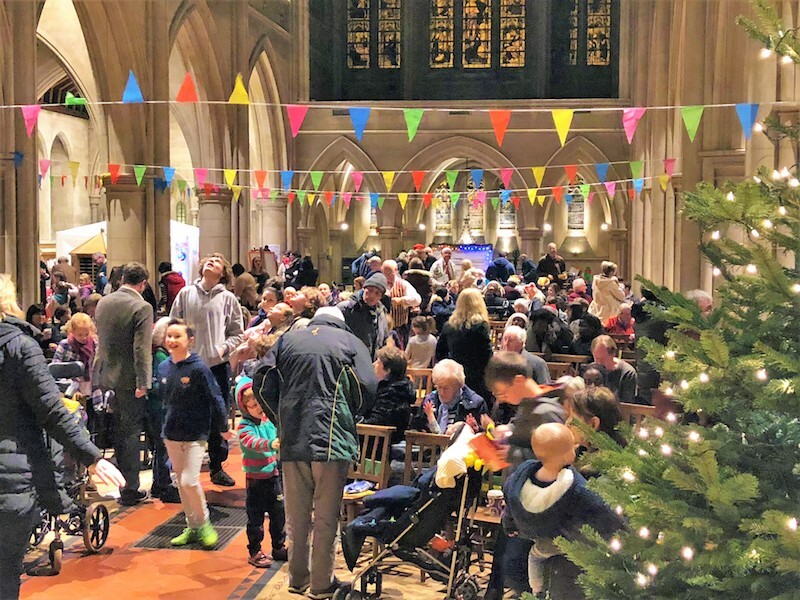 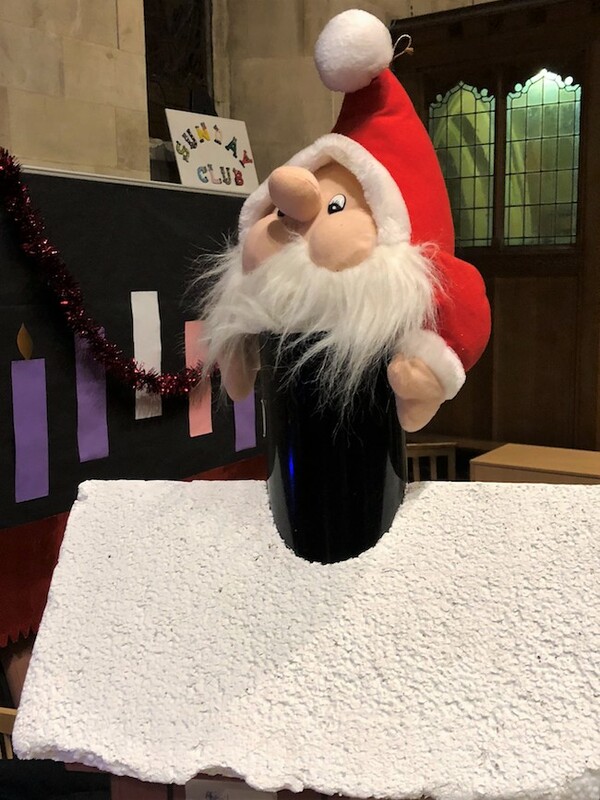 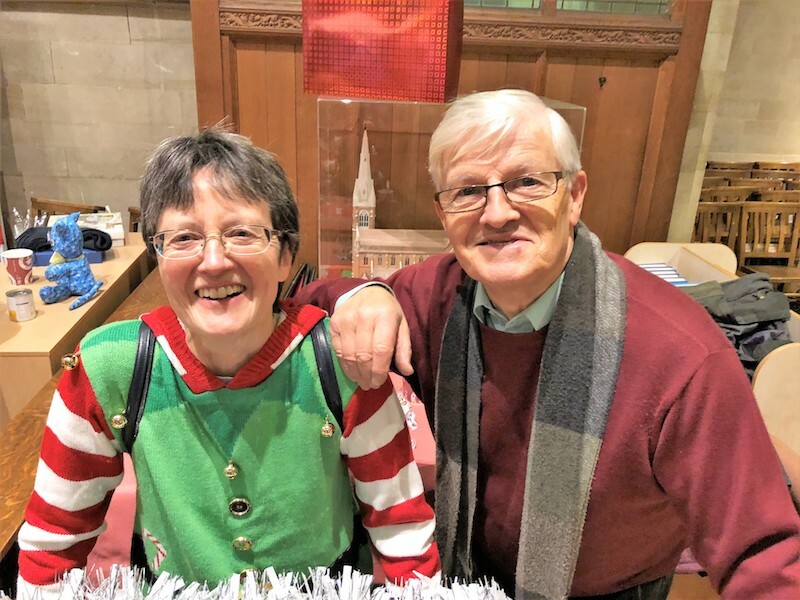 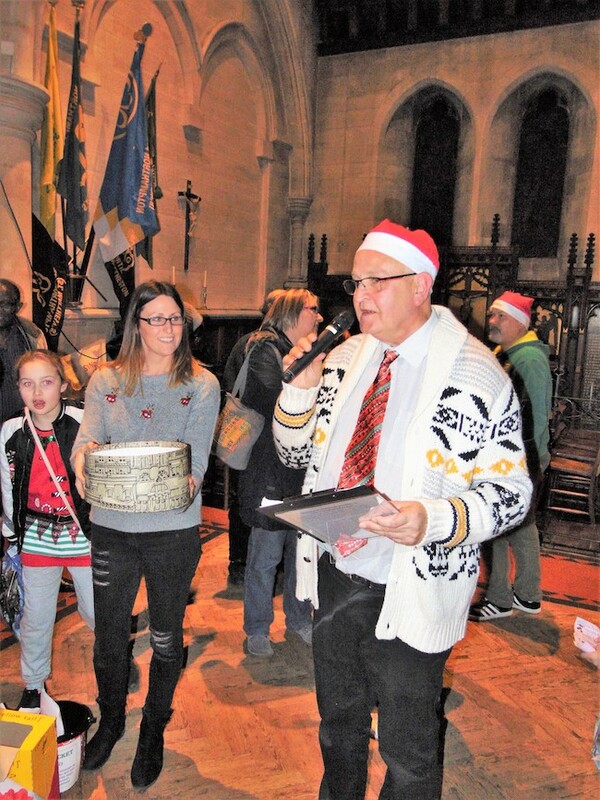 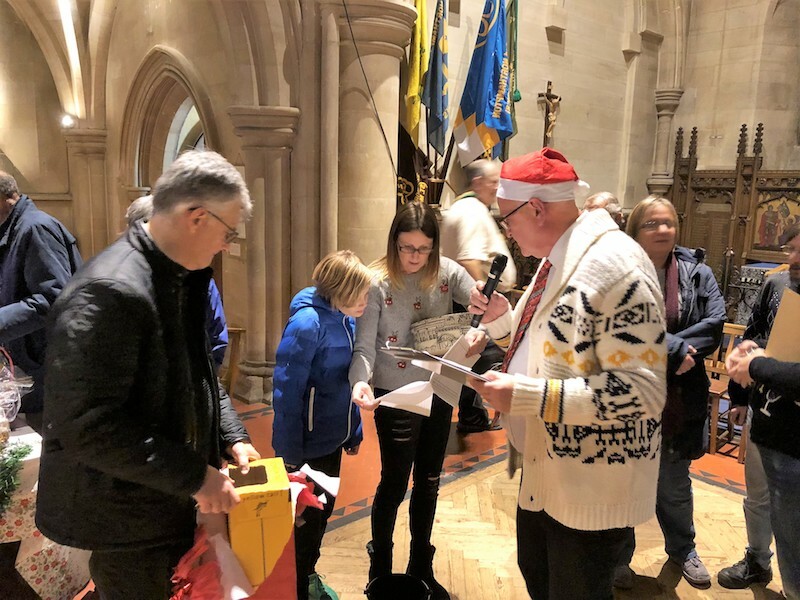 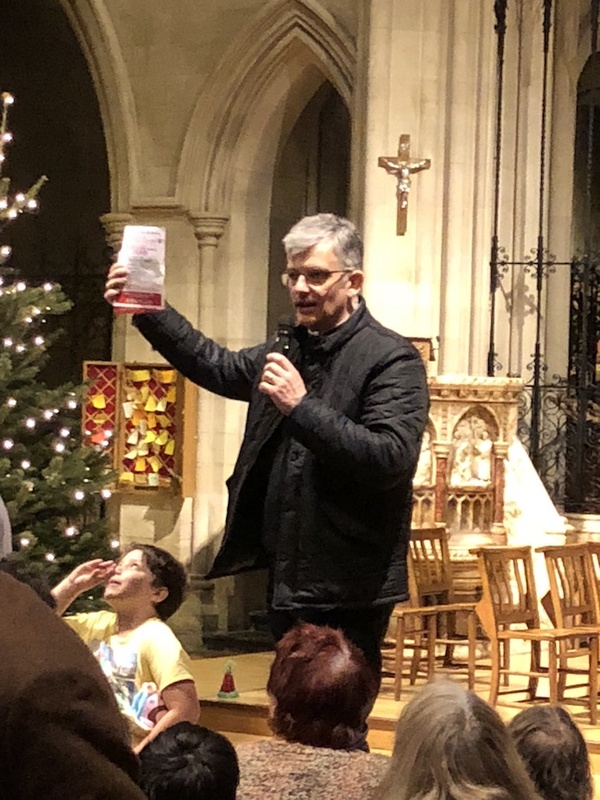 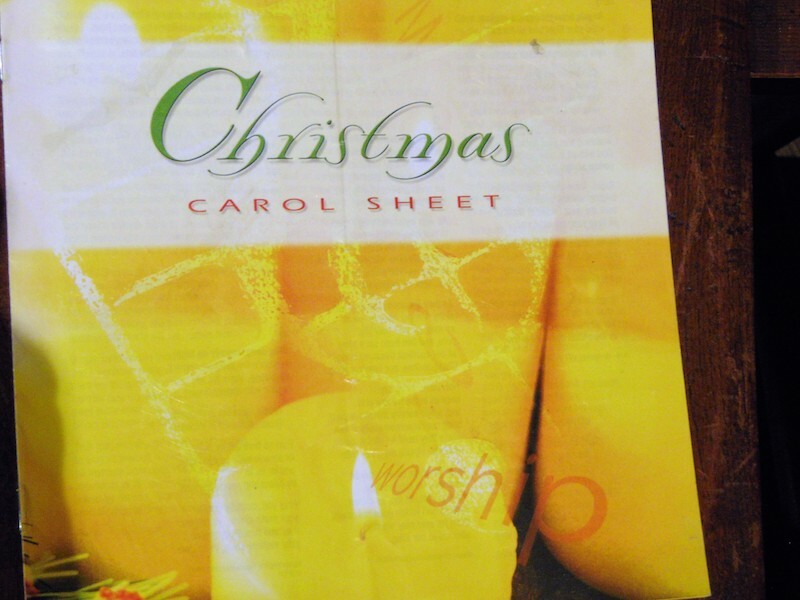 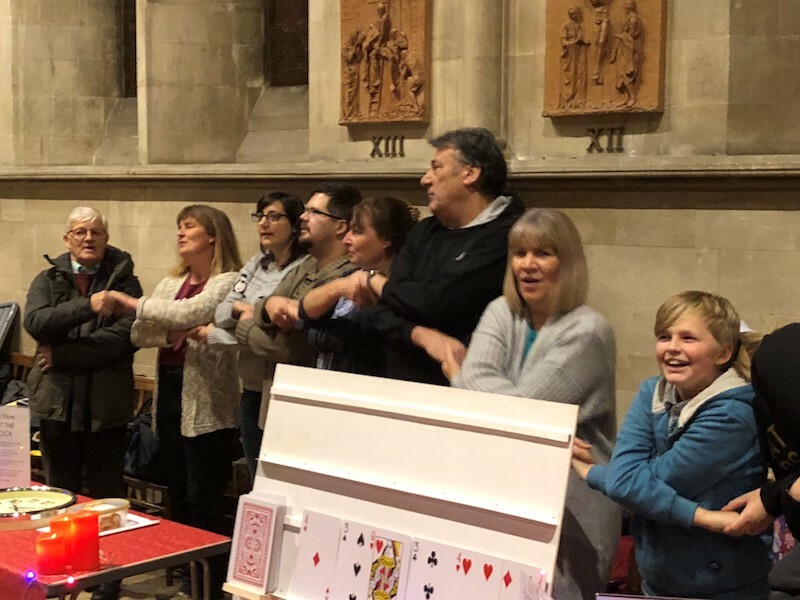 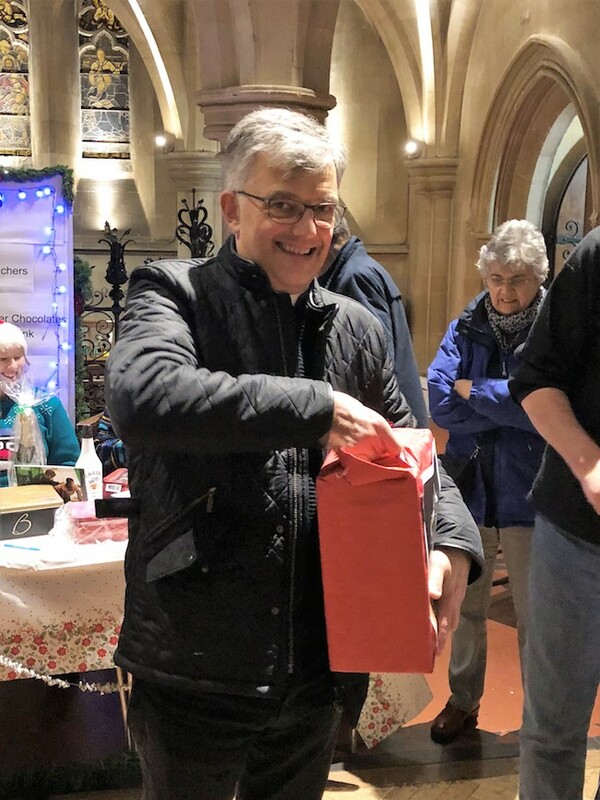 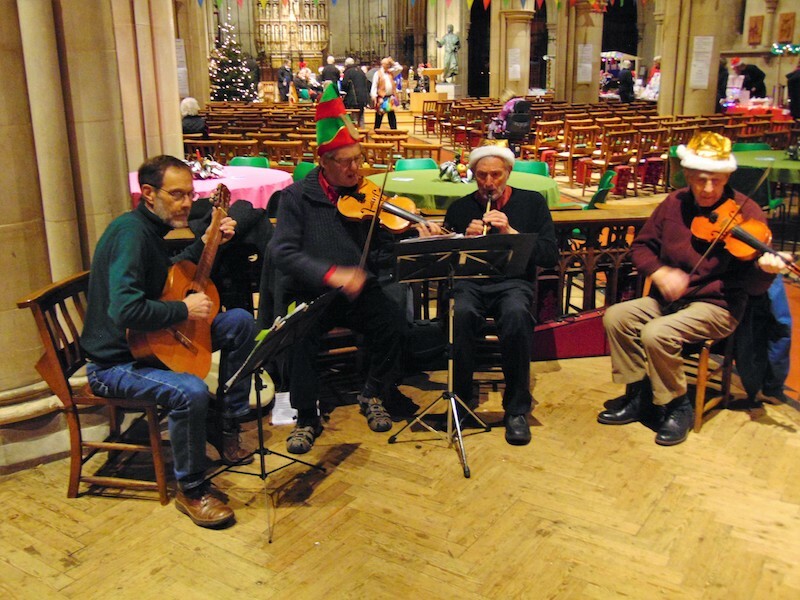 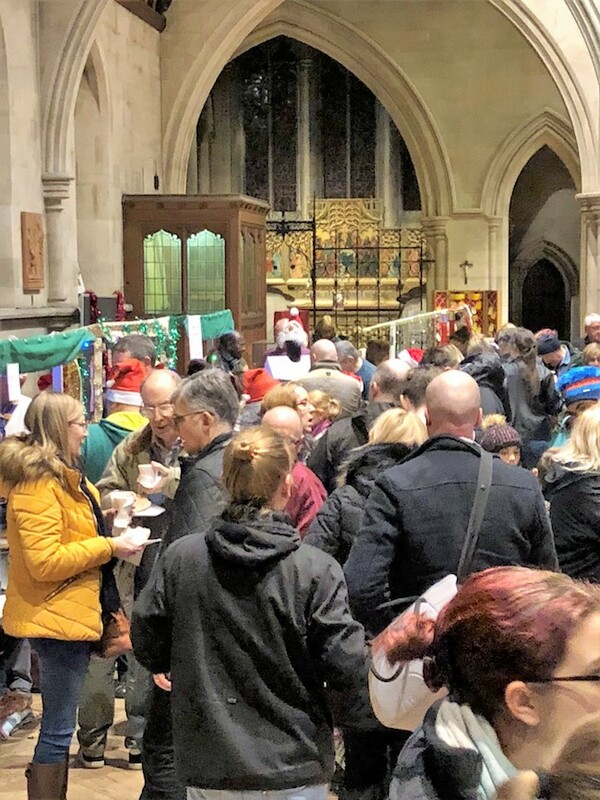 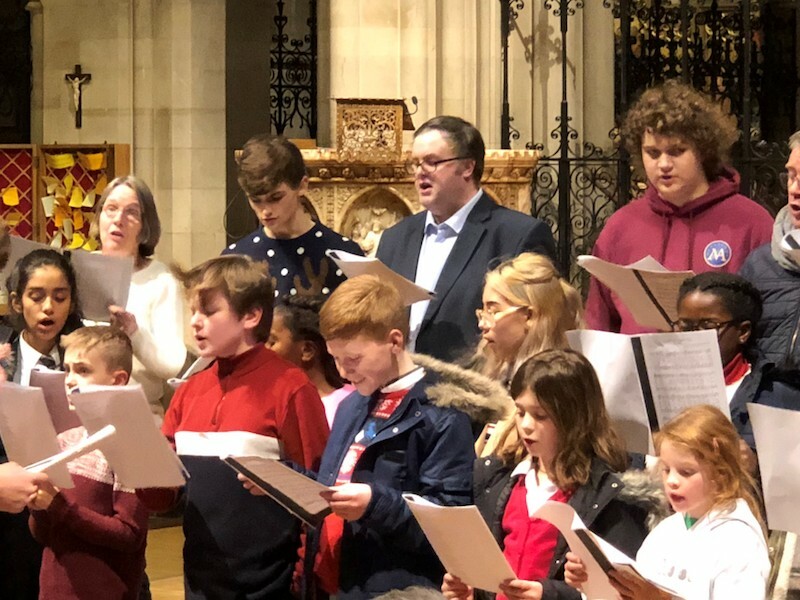 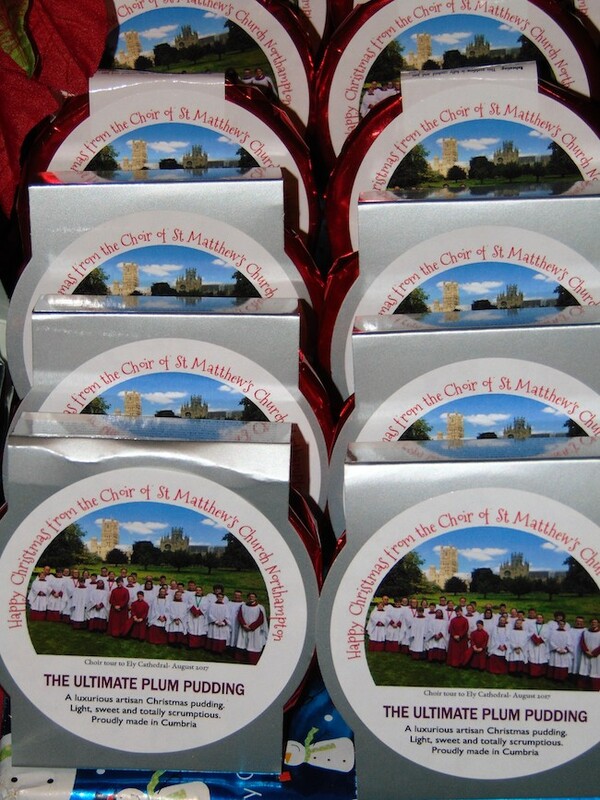 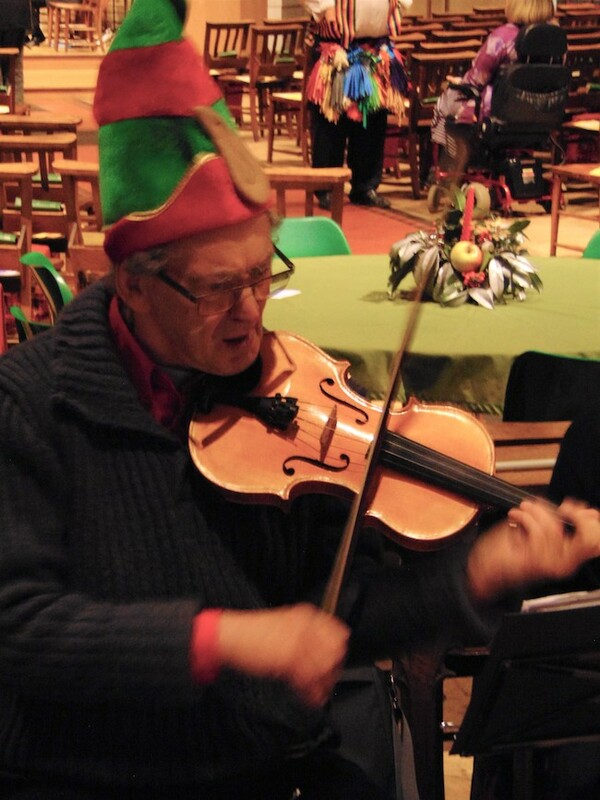 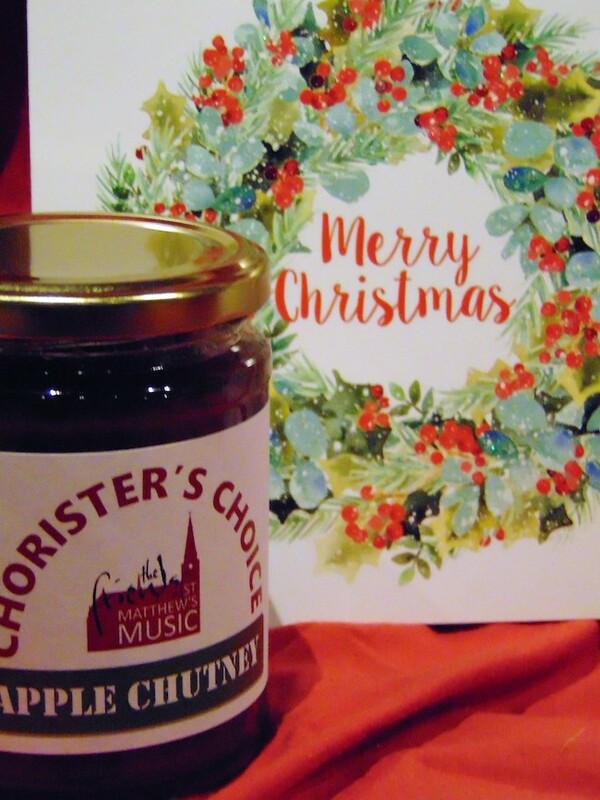 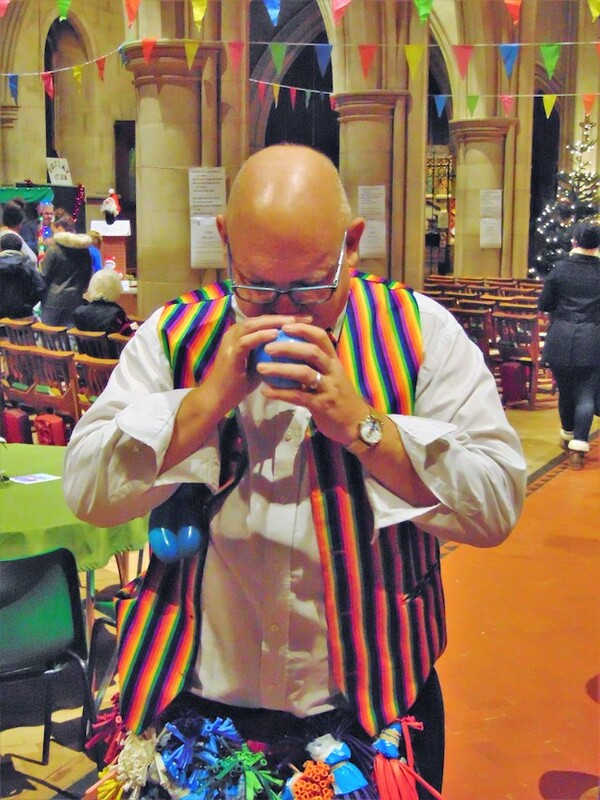 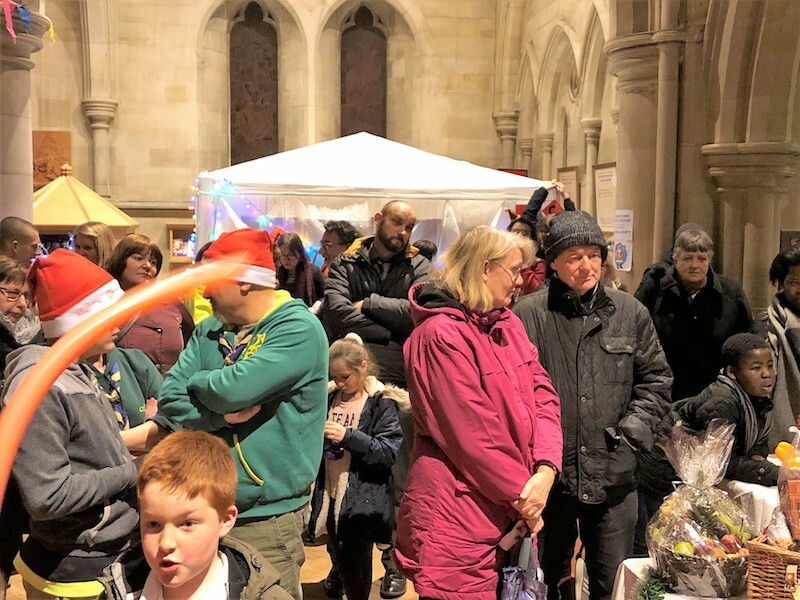 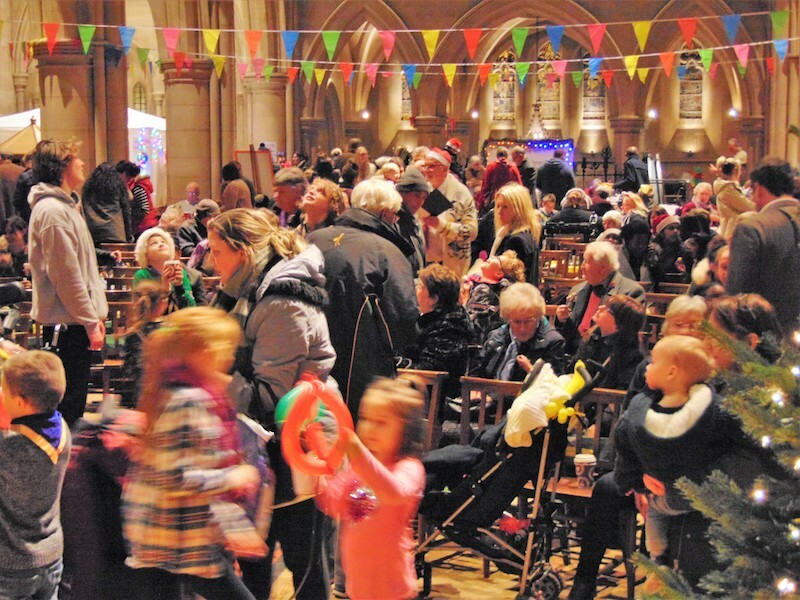 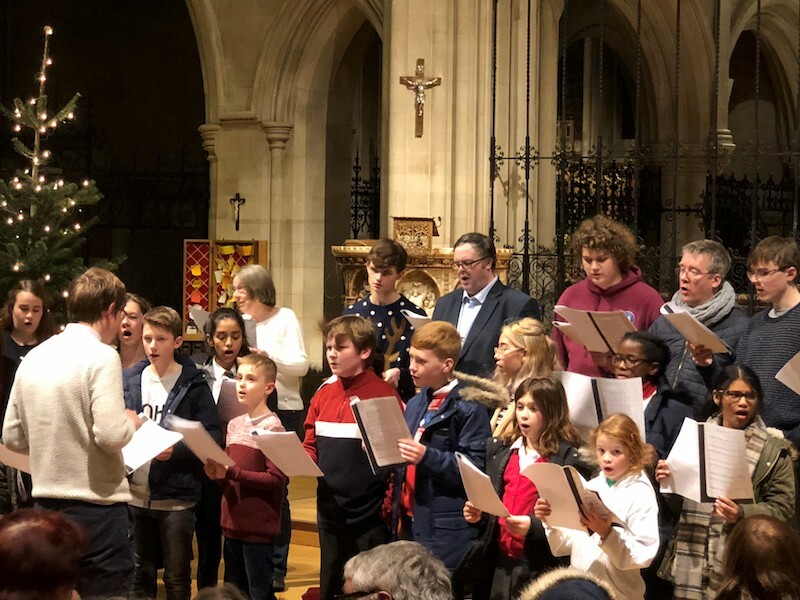 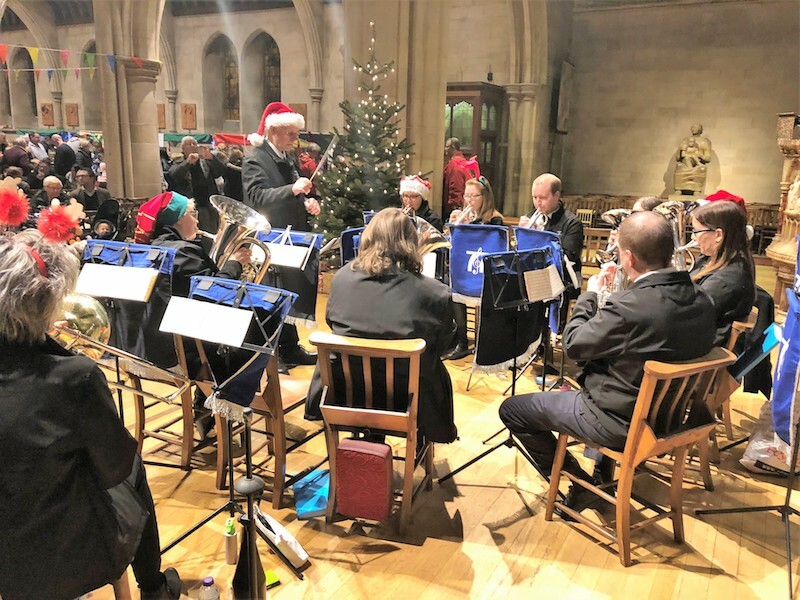 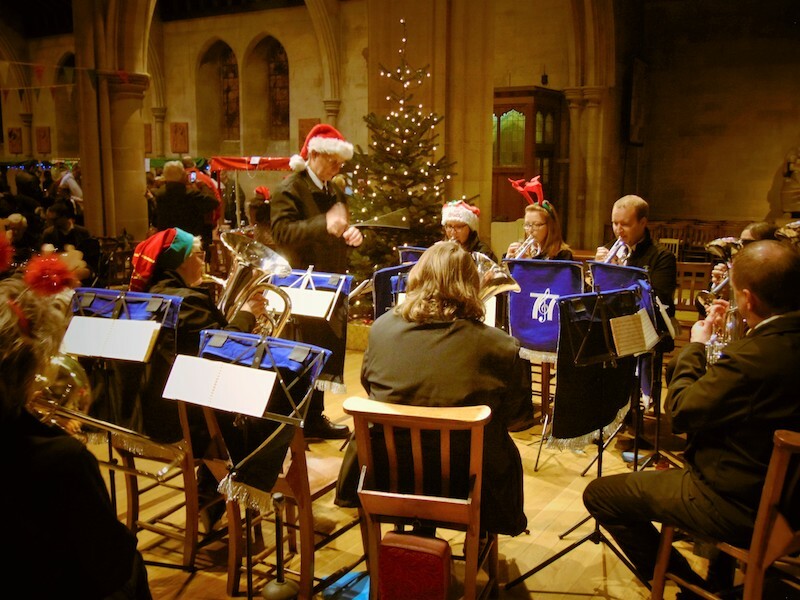 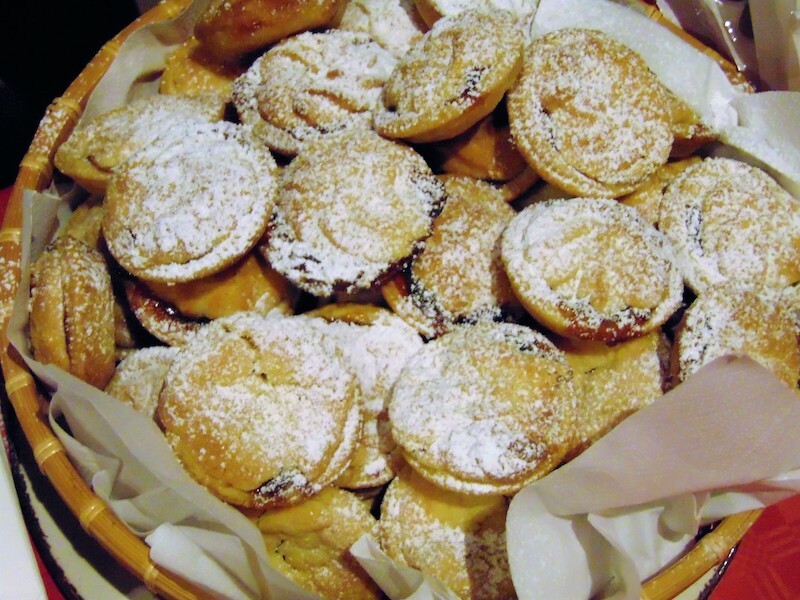 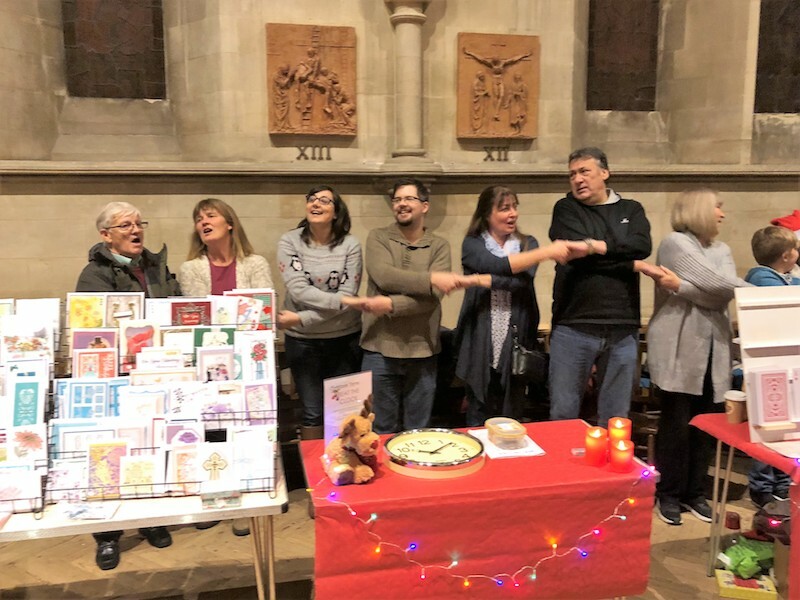 Throughout the evening seasonal music was provided by Moulton 77 Brass Band, and St Matthew’s Church Choir sang Christmas carols and led the community carol singing.